A couple of things happened this week that got me thinking again about the relationship between design, the public realm of ideas, and academia. First, I somewhat belatedly got around to peer-reviewing a submission sent to me by an academic journal. The procedure is quite rightly supposed to be “blind” so I won’t give any details, not even of the publication. It was a curious process because every stage appeared to be automated, from the original letter generated by the editor through to the final prompt, with a week to go, that my review was due. The reviewing process was also automated: it involved answering an online questionnaire and copying my review comments into a box. It was the most contactless editorial transaction I have ever experienced. Naturally, the instant reply thanking me for my efforts showed every sign of being automatic, too. These people run a tight ship. The other thing that happened was that I received a copy of the Design 2012 Catalogue from the academic publisher Berg, which produces books and journals, including The Design Journal, Design and Culture, and Journal of Modern Craft. Berg, owned by Bloomsbury Publishing, is a big deal. Its publications are nicely designed and their presentation in the catalogue is attractively sleek. In 2014, according to a full-page announcement, Berg will publish prof emeritus Victor Margolin’s years-in-the-making, three-volume, 2,400-page The World History of Design, which promises to be a landmark in design studies. If design philosopher Tony Fry’s last volume, the tremendous, ground-breaking Design as Politics, is any guide, then his follow-up, Becoming Human by Design (due in October), could be one of the year’s must-read design books. As I checked out other recent and forthcoming titles, covering all areas of design, I felt both exhilarated by these signs of industrious scholarship, serious thought and intellectual commitment to design, and regretful that so little of this material is likely to make it into the field’s everyday discourse, let alone the public realm. Many of these writers will be familiar names to colleagues but unknown outside academia. Their books are written for students and fellow researchers, and that’s as it should be. But if this research deals with subjects and issues of more general importance, shouldn’t it also be part of an academic’s brief to communicate these discoveries and ideas more widely? It’s striking how few of the names identified with academic writing about design — people who speak at academic conferences, write peer-reviewed papers for journals destined for libraries able to pay expensive subscriptions, and publish learned books with publishers like Berg — make any effort to seek and address wider audiences. If academics are (or are supposed to be) first-rate thinkers, then their participation in public discussions is vital. Naturally, this requires a willingness to exchange ideas, as well as the versatility to engage in commentary, analysis and speculation outside the immediate area of one’s specialist research. The cloistered quality of academic life is not a state of affairs unique to design, though public intellectuals seem much more plentiful in other disciplines. I had better also make it clear that I’m talking here about academics, most probably with PhDs, who are active researchers, and not about the many designers-turned-teachers who also work in education. No doubt onerous workloads are a critical factor in limiting design academics’ inclination to reach out. Present-day career paths require the continuous generation of auditable “outputs” perceived as signs of an institution’s status and rank. If you want to get on in academia, you must be an effective producer within this system (here’s the UK’s). Publishing a paper in a prestigious journal only read by other academics counts, on those terms, as a personal triumph. It may even be the only way to achieve promotion from lecturer to senior lecturer and beyond in a university or college that wants to be taken seriously as a center of excellence in research. Time spent on writing for non-peer-viewed publications, commenting on blogs, or speaking at non-academic conferences and events, is seen as time not devoted to academic duties and self-advancement. In other words, the generation and transmission of knowledge, which ought to be a matter of wider public interest, has become thoroughly institutionalized within academia. I can entirely appreciate the appeal of the academic life as a relatively secure haven, even in these times of cutback, for people with intellectual talents and interests, and a thirst to think, research and write, as well as to teach. But I also believe that design culture is impoverished without the public participation — regularly — of those in the fortunate position of being paid to think for a living about the history, theory and practice of design. It’s hard not to suspect that some design academics nurture an ingrained reluctance to expose themselves to the rough and tumble of more public forms of scrutiny and comment. It has occasionally happened on Design Observer that a Renowned Academic has wandered into the lion’s den of the comment box (before things went eerily quiet), thought better of it, and beat a hasty retreat. Few make it a habit. The academic’s appearance of authority, like any expert’s, depends in part on the maintenance of mystique, and ours is a culture where all kinds of once enshrined position are now open to question. Safer, perhaps, to build a home in the enclave among peers regarded as equals, where the rules of engagement, and the illusion of detachment, can be preserved. Venture outside the conference-circuit paper-mill and the peer-reviewed safety blanket, design academics! Everyday design debate needs your voices. You can make a difference. There are so many comments to make here - but Hurrah to Rick for starting the dialogue. I come at this argument from the flip side - after a decade in the industry I did my PhD and am now in academia. Entering into academia from industry, I come across a lot of these issues. I would add to Rick's dialogue by mentioning another area of discourse that design academics NEED to tackle — design research methodologies. I find myself saddened by books with titles such as "the magic of design". Design inquiry doesn't happen by magic. True, there is intuition - but to say it is magic does a huge disservice to design. Moreover, when I talk to my PhD students about research methodologies, it saddens me further to see that there are only books about design research methods - and in fact, there are design academics - and in other fields - who use the terms methodology and methods interchangeably when they are not the same thing. Design research does have its own research methodologies, however, the majority of authors on the subject write about methods - and also advocate the poor adoption of social science research methods. We need to articulate the paradigm. I would encourage debate on emerging design research methodologies - to help design researchers justify and defend their research as rigorous and appropriate; not "magical". This is a problem well worth exploring and discussing, but I think the parenthese were inverted: Rick's "flipside" should perhaps be the main argument and the rest parenthetical. The more critical one becomes of the assumptions behind current practice and the discipline, the less relevant it seems to non-academic designers. Academia then becomes a haven, not a bastion; and one can hope to "design" the next generation of designers to become more critically engaged in their thinking and practice tomorrow than what is possible within the profession today. Perhaps the problems that require critical attention and thought will be harder to ignore in times to come. artbsnss, we are saying essentially the same thing: that academia becomes a haven for some who choose to work there. However, I don’t think it’s true to suggest that design practice is so far beyond the pale that it’s OK for thinking designers to withdraw into the academy in hope that the situation outside might some day improve, as a result of their teaching. There are many more sides to design-in-the-world, and possibilities for public intervention, than your seeming absolutism acknowledges. As for designing the next generation of designers, idealistic design teachers have seen this as their role for years — with fairly consistent results. Some designers leave much of this educator-imbued idealism and utopianism behind when confronted by the need to make a living as designers; some internalize these ideals and do their best to live up to them; some find a way to be fully critically engaged as designers; and some go into teaching and research themselves, as the space most conducive to pursuing their intellectual interests. Still, I agree that we always need more critically reflective designers. Let’s not forget, though, that many of the academics I’m talking about in my post are not designers. In the UK, they often come into design history from first degrees in other academic subjects. So far as the “flipside” goes — the blindspots in how the design world construes its task — this is something that many commentators, including me, have discussed at great length over the years. Here, I hoped to direct attention to a less discussed topic. A fine plea for reconciliation Mr. Poynor, one which I used to hope for too but, in the nearly 20 years since architecture school, this schism seems to have intensified, and as a practitioner I find I have finally lost patience with the cloistered archi-speak of academia. One suspects this language is a betrayal that much "thinking" about design is little more than repackaging, a new wrapper (palimpsest!) on the many prior wrappers that, like thick layers of chipping paint in a subway station, hide a plain old column: in the end, its just a piece of steel, and so the layers become the point of focus. How else to explain that, in a world of depleting resources, we continue to tolerate, say, the 10,000sf detached house with four cars out front as a paradigm of architecture (FLW! Mies! Corb! Rem!)? Why is it not a crude version of trophy hunting, as unmentionable in academia as getting drunk and shooting captive bears in some backwoods ring at the edge town? Beating up a bad metaphor for design academia is hardly going to get you an answer to the problem of why we churn through too much stuff. I'd agree that a lot of what goes on in academia is part of the problem. But the other significant part is most of what goes in design practice, particularly in relation to the political-economics it works for. To totalise the situation without reference to any serious but marginalised or ignored work that is exactly about trying to understand and address this situation is a bit hasty. The question of why such work may not have much agency, or even the question of whether such work could gain or even needs popular interest to have agency is also a lot more complex than you give representation to. Thanks for a thought-provoking piece! I agree with some of what you say about the insularity of design academia. A good deal of design research is narrow, dull, instrumental and, as you say, driven by the need to accrue publishing performance credits. But the scene is more nuanced than you suggest. I run a peer-reviewed journal (Design Philosophy Papers), but am not employed as an academic. It is independent; the themes/topics on which we publish are determined not on the basis of trying to build up a field or sub-field, but according to what I and the editorial advisers regard as significant in order to shift design towards more thoughtful and substantial engagementwith the world(s) it inevitably shapes. Many of our readers (and of academic design publishing more generally) are post-graduate students who are also practising designers - in fact it is often their dissatisfaction with the superficiality of professional design, and the desire to construct more meaningful practices that drives them to postgraduate study. And as for design theorists making connections out of academia, many of the best already do so - e.g speaking to, consulting with, industry, government, professional bodies (including, but not only the design professions), cultural organisations, NGOs, etc. On the issue of 'academics' reluctance to communicate to non-academic audiences: many are attempting to think complex issues, which cannot, without a great deal of effort, be 'translated' into everyday-speak. Though perhaps it's not 'either/or' - there is an infinite gradation of understanding of complexity, and those 'in the middle' can frequently be the most effective translators, mediators or disseminators of original and unconventional thinking - on design and much more. Over the past decade, design is undergoing a transformation, tugged in different directions: firstly, the gradual shedding of the art school tradition (shallow and self-absorbed: good riddance, I say). This is increasingly replaced by a need to ‘produce research’, even though many institutions -- an, indeed, the sector more widely -- do not have clear agreement on what constitutes research in design. Most evidently this is seen in promotion and tenure criteria, where in many institutions the generation below myself is inventing a research environment where there was none. Invariably, the interpretation of what is research (and, just as important, what is meaningful research) is still negotiated. Secondly, higher education is undergoing a fairly rapid transition into a world of excessive QA, and a brutal breaking up of teaching and learning into tightly measured chunks of contact time, of coursework, and of assessment. This process, driven by a view of education as a massive spreadsheet where all events (and costs) can be prescribed, is having fundamental effects on the students’ experience, and the role of the teacher. On the research side, design suffers especially from QA models developed for disciplines where scholarship is better defined, and where active engagement between researchers and practitioners is a given. Through its impact on funding, the unloved ‘Research Excellence Framework’ you link to is a textbook case of the QA model prescribing practice. Rather than an engine for innovation, it has become an end in itself, jeopardising longer-term planning. In design this has pushed academics to chase publications in journals that barely register on practice. Although there is a recognition that research is an element of some practical work, and practice portfolios are allowed as submissions, we are far from a broad agreement on what constitutes research in design (and the wild range of what passes for a PhD in design testifies to this). Thirdly, while fighting institutional straightjackets, design education is racing to keep up with changes in the way design is consumed. The slow rate of adaptation to a changing environment can be seen no more clearly by the invention of new genres (web design, fifteen years ago, then environmental design, information design, UX, IA, recently the nonsense about ‘responsive’ design…). As a broad field of study design failed to explain how design is design is design, whatever you work on, and that there are lessons to be learned from past practice, and past scholarship. The recent rediscovery of typography by people working in screen-based projects is a good example of this. In this environment, most design academics I know are not isolated in comfortable contemplation. There is a lot of activity, but the annual cycle of higher education and the environment I described above means that changes happen slowly. For myself, I am cautiously optimistic, because enough people are calling the bluff of excessive QA. I offer two things as evidence: the maturing of typeface design as a discipline of study, with a growing body of research that actively impacts on practice; and the expansion of Knowledge Transfer as a model for collaboration between academics and industry. First - Rick, thanks for the article. I hope more discourse like this can lead to some real change in design education and the chasm between design academics and 'design in the world'. I've been frustrated since I started studying design in the early 90's by the lack of connection between those who spend time thinking about design and those who spend more of their time doing it. Each need to be informed by the other, but more importantly the lack of connection to the current landscape confronting those who 'do' is widening the gap between what is taught about design and what design 'is' today. As Gerry points out - design is design. It should not be taught as 'web design' vs 'traditional design' or any other split. As someone who has worked as a web design, technology and strategy professional since I started college I do feel I have a more unique perspective as a designer who grew up 'designing and doing' on the web and in print - but it saddens me that in nearly 20 years I still interview students coming out of some of the best schools who know nothing about design for any other medium than a printed one. That's a catastrophic failure to adapt in the part of the schools in my opinion. We need more open exchange between those who work with these challenges every day and those who teach and think about it if we are ever to get past this disconnect. I have to point out to Gerry though that 'responsive design' is far from nonsense and in truth one of the only truly innovative solutions presented thus far to apply design system thinking to an exponentially increasing number of devices upon which our designs must appear and function. Now that the concept has begun to take root we're seeing even more innovation in how people interact with and consume design and content. I would actually argue it is one of the most significant advances in design over the past several years. Sadly I suspect it will be a long time before it filters its way into design classrooms and academic discussion. Jason, I was probably unclear: I fully accept the principles and methodology of ‘responsive design’: they are valid, and relevant. But I object to the definition of yet another sub-genre of practice, with its own mini-literature and vibe -- good for the marketing of texts and professional conferences, not so good for defining itself as "not the way the others do it". At the heart of responsive design are two principles: an appreciation of the context of use, and a placing of the user at the centre of design decisions. There are some institutions (on both sides of the Atlantic) where this approach has been central to both teaching and research, for a few decades now. (Namedropping leaders: Michael Twyman and Jorge Frascara are the first names that spring to mind; the late Paul Stiff, too. And I'm just beginning to appreciate Walter Jungkind's contribution.) You could argue, with some justification, that these institutions (to one of which I belong) failed to explain widely enough the fundamental nature of user-centred design. I cut ourselves some slack, because the ‘proud anti-intellectualism’ has been a tidal wave and a half. Still, the more text-heavy and user-focused design becomes, the more relevant the lessons, methods, and depth of good old Typography become. Thanks for clarifying Gerry - I completely agree with regard to considering it a 'sub-genre'. It belongs, as with other ideas and practices in web design, in our toolbox as designers along with Pantone color chips and all the rest. I've struggled to get that across in some writing and talks in the past year or two: we need to think about context and usability in conjunction with the goals of the project itself, and bring our knowledge of design and technology to bear to create more innovative and successful outcomes. The challenge is that to do so successfully requires us as designers to be design thinkers, and raise our field of view from what is supplied in the brief to a more holistic view of the client's organization and how a given project fits in the larger scheme of things. It also requires that we sharpen both sides of the brain, as it were, and get to know the technology behind the web as much as we do that which lies behind the press. I don't discount some great research and teaching about user-centered design, but I'm so far unable to find more than one or two programs that teach graphic design in a way that encompasses the world of design ranging from branding to publication design to interaction and the web. Increasingly it is the blending of these mediums that characterizes the best design solutions, yet we have not adapted our education system to meet that challenge. It's interesting (and welcome) to see that notions of typography, grid systems and emotion are creeping into the web design world (I'm actually working on a book about web typography, and learning just how hard that task really is! ), but it only serves to underscore the fact that many web designers are self-taught and lack solid grounding in the principles of design, and the rest are generally print designers making pictures of web sites in Photoshop and never delve into what brings their design to life (and expose all the things they're missing, like how a user will interact with it). There's certainly some progress being made - and the more discourse such as this takes place, the more hope I have that we can bring about some change. You might bother to actually read the book prior to poking at it in a public forum. The text goes on to make the point that design is not magic at all, and can actually be quiet process driven and rigorous. thanks for this post. Discussions like this are very valuable and important. I agree, academia has big problems in bridging university with the so called “real world”, but I also have to say that this is an old story and it is being strongly discussed within (and outside) academia for a long time. What bothers me a bit is your almost romantic description of academia. A quick look in to the real conditions of academia reveals that universities are far from being save havens as you suggest. The pressure is immense and growing, not to mention the fact that most of academics work in completely precarious conditions. Academics are paid (partly) for doing research, but research is dictated by ideologies and politics of grant schemes, which are very instrumentally pushing research in to applied, marketable results. It is far away from a safe and free haven. However, there are still possibilities do good things and many people are fighting to change the situation. On the other hand you seem to suggest a lack of public speech and engagement by academics. I do agree, but you seem to imply that professionals outside of academia are the ones who bring design closer to the general public etc… This might be true, but this has nothing to do with public speech, neither with being a public intellectual. Design as a profession is constructed to serve the market and the depth of its ideological blind spot is truly fantastic. If academia is a closed design shop than the design world outside academia is a designed closed shop. I am sorry, but the prevailing design profession might have a strong voice, but it is far from creating publics. Addressing a wider audience is not the solution. Corporations address wide audiences. The question is how we address the wider audience in order to create dialogic publics. I have to say that many academics are doing fantastic things. I talk here as and academic too, but also as someone outside, someone on the margins of professions. For 12 years I am directing Memefest, Festival of Socially responsive Communication and Art that started to nurture and reward a necessary radical and extradisciplinary investigation, theory and practice and is to a big part focused on visual communication design practice and theory. Every year we work with academics (among activists, artists, and a handful of professionals) from around the globe. They put in substantial time in the project, are not paid, and play a very active role in developing a new scene. They work with their students on the festival themes, through which themes like this year: DEBT, are being researched in the classroom context. And through which essential links between academia and non academic cultures are being developed and maintained. Although Memefest is institutionalized outside academia as an independent network and communication/arts/theory Kolektiv, it was our collaborations with academia that helped us develop what we have developed. The industry profession (and in many cases design academia) did not contribute much, except giving an example as what visual communication design should not be and in most cases ignoring and censoring the project. The question to me is how to build cultures and institutions that mediate in an educational and dialogic manner between the many different existing (design and design related) cultures. Not only academic and professional, but also those who are interested in design, but are mostly refusing to be part of the dominant profession. It might sound strange in this context, but it’s there where the biggest potential for the design profession is. There are quite some academics connected with design that have brilliant things to say, but sadly we are lacking design forums that would be inviting for adventurous academics. Here we share our dislike for most design events. Many academics know very well what being a public intellectual means and are actually practicing public speech in many different ways, but some prefer to build new forums, than participate in existing ones. Some of the new forums are actually being developed within academia right now. Existing professional design forums (festivals, conferences…) are almost without exception reinforcing the status quo. Let’s just think about the discussions around sustainability and social responsibility of design. Usually not much more, than embarrassing posing. It’s true; it might help to get academics with serious research and insights to speak at such events. But the problems with design won’t be solved with it and it wont make the necessary link between academia and the "real world". I just came from a great architectural exhibition in Maribor, Slovenija titled Unfinished Modernizations. The Croatian architect Vladimir Turina once said: ”sometimes one has to speak the truth which is not always good at flirting.” I agree, but I am just not sure the dominating design profession is ready for such truth. What's not public about academic publishing? This criticism is odd, and Mr. Poynor's version of it is a spitting image of what we get in the papers here in Norway every now and then: journalists and "public intellectuals" demanding us (academics) to participate more in the public debate. I answered one of those (with a letter to the editor of a newspaper) once (it was neither my first, nor my last, appearance in the daily press). My point was that everything I write is making it into the public realm - a realm not restricted to newspapers, blogs and the like. Anyone who is interested in what I'm being payed to do as an employee of a public university (one of the standard arguments/complaints/demands from those entering this debate with a right/conservative political standpoint), is free to roam the (free) libraries, reading everything I've ever written. I get a similar feeling from this blog post - it seems to me Poynor is trying to pin the fact that (many/most) designers don't read on those of us who write stuff that they could have benefitted from reading. Our books and journal articles are in the public domain, so how about reading them if they are interested in what we have to say. Talk about shooting the pianist! Also as, Poynor does admit to it in his comment, not all of us are "design academics", but rather "academics" pure and simple - I am not a designer, I am a historian (of design), and I feel no obligation to engage "in the [design] field's everyday discourse". Besides, most of us do "exchange ideas, [...] engage in commentary, analysis and speculation outside the immediate area of one’s specialist research." Over the last couple of weeks alone, I've given two lectures at two different museums to broadly composed audiences and thus ventured well "outside the conference-circuit paper-mill and the peer-reviewed safety blanket". By the way: nowhere does an academic feel less safe than when undergoing peer-review. Jon - i'm sorry but this wasn't directed specifically at your book - but I shall certainly be buying a copy to have a read! Thanks. The risk of writing articles like this is that there are always exceptions, even if one believes the point being made to be generally the case. I hope the existence of those exceptions was adequately implied in my post, but I’m pleased to see some of them mentioned in the comments. Design Philosophy Papers, edited by Anne-Marie Willis, is an excellent example of a serious intellectual platform for design inquiry that comes from outside — or perhaps alongside — academia, though its use of peer-viewing, type of content, and manner of presentation certainly align it with other academic journals. DPP’s main contributing editor Tony Fry (mentioned in my post) is an academic, as is the journal’s reviews editor. I usually include mention of DPP in lectures I give about design criticism. If we don’t find a way of translating complex ideas about design into language that intelligent listeners or readers can understand (whether they are designers, civic and business leaders, or members of the public), then it’s unclear to me how these ideas will ever have much traction or influence across designing. For those “in the middle” to act as translators, mediators or disseminators, they will first need to understand and assimilate these ideas. Oliver Vodeb, many of your points are well taken but I’d like to clarify a couple of things. What I actually said was that academia was a “relatively secure haven, even in these times of cutback”. At two points there I acknowledge that all is not perfect in academia. I’m fully aware of the marketization of higher education. I deplore it. Academia remains, however, a space of considerable intellectual freedom compared to many other kinds of job. If someone wants to think and write and publish, but doesn’t find academia congenial for doing these things, then get out and find another way of pursuing these activities. This, too, is possible. Also, I didn’t say, or in any way mean to imply, that “professionals outside of academia are the ones who bring design closer to the general public”. In the UK, there are very few designers who occupy a truly public position in terms of the press coverage they receive, or the influence they exert. (It used to be Terence Conran who acted as design’s all-purpose spokesman. Now it’s James Dyson. Graphic designers rarely get a look-on.) I entirely agree that, “Design as a profession is constructed to serve the market and the depth of its ideological blind spot is truly fantastic.” That’s been my position for years. But designers are surely, at least potentially, the primary audience for new thinking coming from the academy. So the question again becomes: what are the most effective ways of talking to designers engaged in practice once they are no longer going through education? Kjetil Fallan, the “get with my program” impatience of your comment (if it’s in any way typical of what academics feel about these matters) tends to confirm that there really is an issue, when it comes to design academia’s relationship to the public sphere, that needs to be addressed. But I should stress here that I’m not suggesting that all academics need to reorientate themselves, only that the wider understanding of design would benefit greatly if more were to do so. I have to add that I don’t appreciate being crudely aligned with a “right/conservative viewpoint,” which couldn’t be further from my position, just because you don’t like what I have to say. And of course I’m not blaming you or any other academic for the possible disinclination of designers (or just people) to read. That’s a larger issue, though one that has to be considered when trying to reach and engage any contemporary audience. Thanks for your comment, anyway. And for everyone’s comments. This is clearly an issue that people care about. My apologies if I offended you by stating that a view you expressed (academics need to get out of the ivory tower) is similar to an argument often made by commentators with a right/conservative viewpoint. I did not mean to imply or suppose anything about your political viewpoint. My point was simply that I continue to be amazed at the instrumentalist demands design historians are met with, particularly from designers. My fellow historians - of, say, technology or economics - are rarely met with the same kind of demand from engineers or economists. What I’m saying is not that academics need to “get out of the ivory tower” (which, on its own, would be a silly and pointless demand), but that by virtue of their research, academics have valuable knowledge, ideas and insights that need to be more effectively communicated and thereby shared if design and society is to gain benefit from them, where there is benefit to be gained. I don’t want to instrumentalize history either. I have previously argued here that the tendency to think about the purpose of graphic design history in primarily instrumental terms has held back its academic development. Lots (too much) to comment on here but as a design academic in the top 5 in the UK for design research I think the idea of the isolated design researcher in an ivory tower is far from a universal position (or perspective). In the long term the disproportionate amount of funding given to research with impact in the upcoming research assessment in the UK is encouraging design researchers to think about how they engage with the non-academic way. For a big institution a top rated impact statement (about 2000 words describing the impact research has had in the non-academic world) could be worth £1 million in additional funding. There is a range for fundamental research in this approach but it does make life easier for people like me who both publish in some of the journals mentioned in the piece above but also work everyday with external stakeholders. I am very glad we agree that history should not be instrumentalized. Your call for a more effective communication of academic knowledge to the world outside academia is of course a laudable one, and this wording is - in my view - far more balanced, as "communication" is a term that implies a process involving both senders (academic authors) and receivers (designers and other interested non-academics), as well as mediators (e.g. journalists and critics). What I reacted to in the original post was that it seemed to me you were of the opinion that it was the sole responsibility of the senders - academics - to improve the efficiency of the communication. But hopefully we can agree that both senders and receivers (as well as mediators) are actors in this network that is communication, and that the burden of improving the efficiency of communication might be shouldered by several interest groups. Kjetil, when writing short posts I have to assume that readers of DO have some familiarity with my output, otherwise I would be forever qualifying, cross-referring and footnoting everything I say. (I have, though, included links to three related pieces of earlier writing.) I’ve taken it for granted that readers will know that I have for many years worked “in the middle” as a journalist and writer; I also have teaching experience through a long association with the Royal College of Art. I have always looked towards both practice and academia simultaneously and it is not at all my view, as you supposed, that academics bear the sole responsibility for any failure to communicate. (The parenthesis in my piece clearly states the failure of non-academic publications and organizations to build bridges, though this is not the piece’s focus.) I have nevertheless, over the years, sometimes encountered a reluctance among academics to meet wider potential audiences half-way by making the adjustments necessary to do so. If this is really changing, as many commenters attest, that can only be a positive development. I take it that Rick is saying design academics ought to bend their writing style slightly and occasionally produce journalism. What Carl Sagan, Stephen Hawking, Stephen Jay Gould, and Brian Greene have done for a broader understanding of science, can also be done for design. And that, if appearances are any indication of truth, is precisely what DO, DPP, and even D-A-P are doing everyday, online, for free, and in the service of the greater good. As a practising designer-turned-part-time-teacher in a research-led design department, I find academia inspiring, and fun, but well... a bit academic. I suspend belief for a couple of days a week, and enter a community of exceptionally clever people who think that researching the Victorian title page is an important and useful activity. When I am selling design to a paying client, I have a different game to play. Ostensibly I am making a visual solution to a real-world problem. In reality, much of my job is to describe my design process in a language that my client can understand, meet whatever objectives we have agreed, and get paid. If these two activities have as little in common as black and white, the sweet spot is that delicious shade of warm grey 3. Or 8. Practice informs teaching, which informs research. Research informs teaching, which in turn informs practice. And so on. The best teaching projects help students make something in the real world that draws on what they have learned in the lecture room. The best conferences have a healthy mix of practitioners and academics (I _like_ portfolio talks, and 'design hero' talks. I want to be like them, make work like them.) Equally I like to be challenged by an academic interpretation of 'the bigger picture’. There are as many styles of research, as there are styles of design. Designers are an astute and versatile lot. We have to be. Who knows what informs our inspiration and decision-making? I might have to take note, in the end, of the client who says 'make it bigger'. Are they wrong? And occasionally, I can be inspired by the Victorian title page. "One of the consequences of the 'closed shops' of design academia, non-design academia, and maybe even the design world itself more broadly, is that we are all always reinventing the wheel. We write about objects of study across disciplines but we do not do much to develop methodologies and epistemologies. More importantly, we miss out on building these together. Interdisciplinarity in the sense of, for example, applying ethnographic methods to study something and then applying this knowledge to design is one such missed opportunity. In the course of applying a method to an non-traditional object of study, researchers also develop ideas about what counts as evidence, who is important to include in the study, and what the stakes of such knowledge production are. Very rarely does this get elaborated in a way that is recognized as contributing to a separate and specific field of research. Instead, it is one discipline instrumentalizing the other." "I’m fully aware of the marketization of higher education. I deplore it. Academia remains, however, a space of considerable intellectual freedom compared to many other kinds of job. If someone wants to think and write and publish, but doesn’t find academia congenial for doing these things, then get out and find another way of pursuing these activities." I understand in context what you mean, but it seems a very odd juxtaposition, in essence, 'to give up on academia in order to think and also "to get out" of the context of education, if we would like to think and have diverse opinions and be critical and in turn teach. On the other hand, thinking, research and writing can clearly be done anywhere by anyone. Non-academics produce serious books all the time. I see no reason why we should suppose that these pursuits inherently need to be institutionalized. We need a public culture of thought in which any person, with a mind to, can participate. I agree totally- it may come down to that "public culture" being generated outside of academia. I do see that the split will enlarge bxt academia and others (and I think Oliver is right to point that out here) with the pressures that he mentions. We have the pressure put on us to be more rigorous in our research & publication- which oft times is about being increasingly insular, versus the obvious need to work outside of academia to connect to a worthy and intelligent public/profession. As one of the respondents noted, there is a great track record of people doing that in the sciences (Daniel Kevles, SJ Gould, Jared Diamond ad infinitum). I think what those people had was that they could point to the huge social impact of the subjects that they wrote about- eugenics, evolution, sustainable cultures, etc. And here is the rub: we need to find a bigger framing of design that resonates with others outside of academia that translates into how the big issues are formed. Designers do this all the time in their jobs- they in small and big ways transform culture. There is a large need to create a (sorry to use this word) "discourse," in other words, we need to talk quite simply. I do agree with you- there is a huge need. I think we are on the same page. Oh. I still think Oliver is right about what he asserts. I am sure you are aware of things in academia as they stand both in the UK and the US, but things are really precarious re intellectual freedom, esp those that have no tenure, or are in some kind of limbo as "lecturers" in the UK and elsewhere. It is very hard for them to feel the kind of comparative freedom that you are talking about. It really is thus- I see it directly. I think the other folks outside of academia that are reading this need to understand the point here. I'm tenured! but- still I feel that pressure exerted. I do have a problem with academia being a bit characterized the way you are doing. We are not in any kind of bubble separate from the professions. Take my word for it. I agree with Oliver as well. It's too easy to make assumptions about anything that one is not deeply involved in. Academia might well need to change but closed shops operate in virtually every walk of life and anyone who has had a variety of different professions will know this for sure. I'd like to see more substantiation of statements such as academia is a safe haven and until I just treat articles like this as unjustified opinion. Of course, I know statements are designed to entice debate but for me (and I suspect many others) it does quite the opposite: It leaves me cold in much the same way that design conferences do. 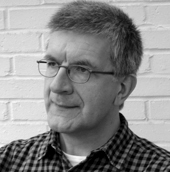 Rick Poynor makes a mistake by polarizing academia and design practice. The fact is that most designers are trained in academia and are exposed to the supposed ivory tower academics in their curricula. There are many changes going on in design practice, many brought about by younger designers, and lots of these changes have been instigated by academic research that has made its way into design curricula, journals, and public fora. Universities put on numerous conferences, seminars, and lectures that are open to the public and the best professors I know regularly speak at conferences and other events that are attended largely by designers. Throughout my own career I have been a speaker at ICOGRADA and ICSID Congresses, published in Print, ID, and other popular magazines and have experienced no barriers between me as an academic and the design community. Locally in Chicago, I have worked for years with Chicago's design organizations on a range of projects - conferences, lectures, archival efforts. 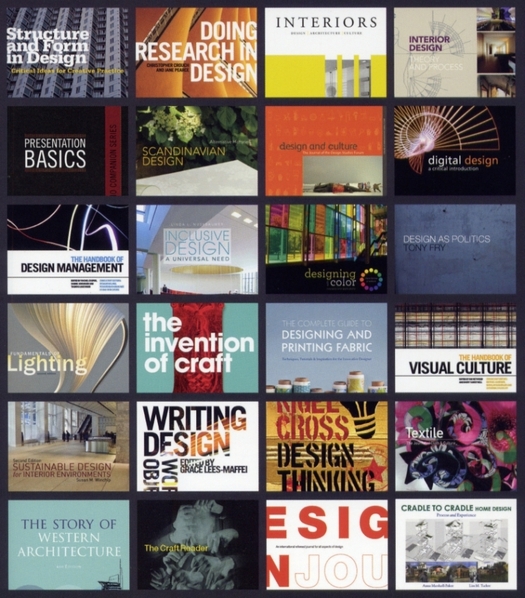 The academic journals such as the Journal of Design History, Design Studies, Design Issues, and others are more than available to designers and some designers I know read one or another of them. Regarding design history, there too much pressure within design departments to teach simple chronologies, thus serious design historians also have to contend with this issue within academia. Berg, MIT, and some other publishers are working hard to publish design literature that is directed to design students who are the future designers. As students, they are being asked to read challenging material. The question is whether they will continue to read once they enter the profession. I think the days of parading high profile designers and their portfolios across the stage at professional design conferences are coming to an end. I find great receptivity among designers and design students to new ideas about design practice and would be more optimistic than Rick Poynor about the relation between academia and practice. It's good that this post has generated so much discussion, which confirms my sense that there were issues here worth airing. I'll confine my response to comments that appear in this column. It does seem that some of what I said as clearly as I could within the constraints of a necessarily short post has been misunderstood, at times even willfully misunderstood, and given the academic background of (most?) commenters, this is surprising. Surely close, careful reading in an attempt to fully understand what a source is saying should be a first requirement of any academic inquiry? Victor Margolin, who knows me and knows my work nevertheless says I make a mistake by polarizing academia and practice. But this is not at all what I'm trying to do in my post, or what I have done elsewhere, as he knows. I have many contacts in both practice and academia and years of experience of moving between them. Both fields interest me, but as an independent commentator it is my intention to take an independent point of view as far as I am able. What I was trying to say in my post, in positive and supportive terms, is that I believe academic modes of inquiry have a huge amount to offer both practicing designers and design culture (outside education where this influence is a given), and perhaps even more importantly, to the wider public discussion and understanding of design. It is fairly easy to find instances where design academics have some involvement with practicing designers and the design industry (by writing for the design trade press, say, or appearing at a conference). It's easy, too, to offer oneself as a shining example — though even this activity might be sporadic rather than consistent on closer examination. It is much harder to find examples of design academics who possess regular highly public platforms, outside of academic publishing and events, for addressing non-design audiences, and policy- and decision-makers. Victor writes above from his perspective as an American, but doesn't seem to allow that my perspective might be shaped in the first instance by my experiences in Britain, where I live and work. Since Victor is writing a history of world design (as I noted with enthusiasm in my post) and must be adept at assessing and allowing for different national perspectives this, too, surprises me. In some of the comments above there's a tendency, in any case, to overestimate the degree of sustained presence that design discussion (of any seriousness) has in the public sphere. Again, I'm talking from my perspective in Britain. Perhaps everywhere else design academics are regulars in newspaper op-ed pages and current affairs panels on TV. Perhaps they schmooze regularly with politicians and entrepreneurs. I doubt that, but please let me know. There certainly isn't much sign of this in Britain where one doesn't read anything serious about design in a major newspaper from one week to the next. I can't see why my central point — that design academics could and should offer more to the public discourse of design — is so controversial for some. But, if you happen to be doing this already, then I salute you. Asking a critical or skeptical question does not mean one is trying to "polarize." But Rick your post does not come across as a question, or at least it doesn't to me. The title itself could have benefited from a question mark and I still think that public intellectuals such as your good self should back up some of your statements with hard evidence. Quite frankly if there are constraints within this space to properly articulate your argument then why not set up your own space and give it the full attention you believe it deserves.? In the fourth paragraph: "But if this research [in the Berg catalogue] deals with subjects and issues of more general importance, shouldn’t it also be part of an academic’s brief to communicate these discoveries and ideas more widely?" A blog post hopes to be a discussion-starter. It makes no claim to be complete or the last word. The comment box is an open invitation to agree, disagree, amend, and add thoughts, perspectives and information. Thanks again to everyone who has taken part in the discussion here. Rick Poynor's central point, "design academics could and should offer more to the public discourse of design," is incontrovertible. What is disputable is the level of access to engage academics' work that's already afforded an interested public. That academia has insular properties is similarly indisputable. However, I still consider the title of the posting unfortunate as it places the onus upon design academics for any currently perceived situation. It's fair and a sign of respect to encourage academics to publicize their research. But while Rick Poynor properly touches on many of the points that act against academics following through on this, the essential ones require a greater emphasis. I too am not at the PhD level and recognize it doesn't address me generally or specifically (though I've enjoyed a past public instigation from Rick to speak more directly to practitioners). But I witness daily the considerable dedication and effort required by these academics to produce their research. I'm always humbled by the erudition and achievements of my doctoral-level colleagues and design academics like Victor Margolin. As someone on the inside of academia that's attempting a public engagement along the lines Poynor urges, I cut them a lot of slack. But for those at the PhD level, and us below, the sentence "time spent on writing for non-peer-viewed publications, commenting on blogs, or speaking at non-academic conferences and events, is seen as time not devoted to academic duties and self-advancement" carries far more weight then it was merited in the article. I've served for years on university Promotion and Tenure committees evaluating faculty, and have just undergone the process for promotion, so this is a visceral concern. In P&T meetings, I've been part of intense debates over the value of public commentary (op-ed articles, mass media interviews) by colleagues in other humanities disciplines. What was acknowledged as admirable generally brought no substantive benefit. Such public engagement was considered no substitute for true research. On top of this, design academics must add a layer of working in a far less-recognized discipline—one that many other academics regard as a joke. That I was ultimately successful in my promotion might be considered an encouraging example for similarly inclined design academics. But it can easily be seen as a cautionary tale as I don't think my particular experience is easily, if at all, replicable. There are a number of intelligent, opinionated, and talented writers at my level in academia that I'd love to read more of. But I know the pressures they face in their careers and can't blame them for their absence from the popular pages. Addressing this situation means a wholesale renovation of academic credentialism. Though it's self-serving, I've spoken up for those colleagues making those public engagements. In this forum, I'd place more emphasis on the design profession welcoming and actively inviting true academics into their midst. There are positive signs of this but much more could be done. I appreciate and give great credit to AIGA for their ongoing support of the Design Educators Community. The charity and awareness represented by AIGA's initiatives in this area can't be understated. Still, I must respectfully express skepticism over Victor Margolin's assertion that "the days of parading high profile designers and their portfolios across the stage at professional design conferences are coming to an end." A stroll through the recent Paula Scher-initiated firestorm over design competitions and conferences amply demonstrates that designers value the portfolio parade above all. The thought of parading a PhD design academic on the main stage of an AIGA conference is a non-starter. But because of the support for DEC and our ongoing activities, I'm optimistic. Rick Poynor and others should be too. This has been an interesting, provocative and insightful exchange with a variety of voices and opinions. It has illuminated the DMZ (demilitarized zone -- to some, RE-militarized zone) between academic and critical and professional discourse. I highly recommend that Design Observer readers visit Matt Soar's blog post (URL in his post above) for a thoughtful, passionate response to Rick's original essay. It's a shame that the DO wouldn't accommodate a more balanced debate structure -- the topic would benefit from it. As to a way forward, allow me to give a single example of a design academic who has built bridges between the 'Ivory Tower' (really plastic that looks like ivory), the design profession and the general public. Perhaps others can name people or institutions they know. I believe it comes down to valuing intellectual diversity, and being curious and open-minded. Where others see borders, Tom sees invitations. The above posting by Steven McCarthy is an example of why blind, peer reviewed journals are necessary. Steven McCarthy teaches in the College of Design at the University of Minnesota, and Thomas Fisher is his Dean, or to use the lay term, his "boss." I hardly think that McCarthy's obvious puffery is hardly an unbiased opinion. "tom101_1" -- sure, Tom Fisher is my boss, but he's also my colleague. The examples I gave above about Tom's outreach are facts, not opinions. As for your assertion about the importance of the blind peer review process, I agree. That's why I publish in peer reviewed journals, as well as the occasional piece in the trade press, like the current issue of Eye. Lastly, the reason I sign my blog comments with my actual name is so my remarks can be traced to their author. I don't need to hide behind an anonymous 'handle' like tompuffery101_1. Somewhat off topic, but Thomas Fisher is an odd choice to uphold as a shining example in this instance. Fisher's cv consists almost entirely of non peer reviewed, "trade" journals, and he has been hostile towards academics in the past, in particular, see his editorial in May 1991 of Progressive Architecture. Rick, you and I had a chance to talk over breakfast at the AIGA conference in Toledo back in 2010. I was the sole presenter on the subject of K-12 design education. Two years later, things have gotten better but there is still much more that can be done. When you discuss the closed shop of design academia, another issue is hearing so many college-level design instructors lament the quality of their incoming students, yet turning their noses up when it is suggested that their programs could benefit from helping teachers and students at the K-12 level. As a teacher of design at a high school in New Jersey, I consider it to be a highly responsible act to teach my students about the designed world around them - but I can only do so much in the time I have. I would welcome visits from some of the excellent design schools that are within an hour of my school, but there are no offers and no programs at those schools that send students or faculty into the K-12 arena - at least none that aren't expensive and profit-motivated, such as summer workshops that are beyond the financial means of most parents. Imagine the potential for teaching and learning for K-12 students - but also on a commercial level, imagine the recruiting possibilities for the schools doing the presentations. So not only is there a disconnect between design academia at their NEXT level, the professional world, but there is also a disconnect with the level below them that is sending them their students. Very short-sighted. I've formed a non-profit group with Dr. Robin Vande Zande to try and address this issue, the Design-ed coalition (www.design-ed.org). We've found people of a like mind to ours to try and help K-12 teachers use design as a teaching tool, but we'd also like to connect interested college-level programs with local K-12 schools to help foster the concept that the earlier we build awareness of the designed world to students, the better chance we have of creating students from ALL academic disciplines to help solve tomorrow's design problems.